The Kerr Family Endowment will underwrite the tuition of students from the Middle East to pursue an undergraduate or graduate degree in the humanities and/or social sciences at UCLA. 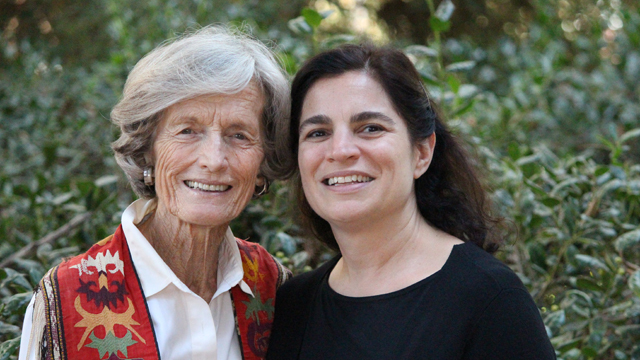 UCLA International Institute, October 5, 2017 — The UCLA Center for Near Eastern Studies (CNES) is pleased to announce the creation of the Kerr Family Centennial Scholars Endowment. Dedicated to promoting international understanding and peace through education, the endowment will underwrite the higher education of young Middle Easterners at UCLA. The endowment was established by a gift of over half a million dollars from Ann Kerr and her four children: Susan Kerr van de Ven, John Malcolm Kerr, Stephen Douglas Kerr and Andrew Stanley Kerr. It honors three generations of the Kerr family: Stanley Elphinstone Kerr and Elsa Reckman Kerr, the parents of Malcolm Hooper Kerr; Malcolm Kerr; and Ann and Malcolm’s children. UCLA has made a matching contribution of $250,000 under the Chancellor’s Centennial Scholars Matching Initiative, bringing the total initial endowment to $750,000. The endowment will operate in perpetuity. Additional gifts by donors who support the goals of the endowment are welcome. “The Middle East and its people have been a treasured part of my life since I was a student at the American University of Beirut during my junior year at Occidental College,” said Ann Kerr. “I am a great believer in the transformative experience of living and studying in another country, which deepens our understanding of a people and their culture. As you learn about another culture, you also come to a greater knowledge of your own. “It is my wish that Middle Eastern scholarship recipients come to know the United States better and return to their own countries to share what they have learned,” she said. The Kerr Family Endowment will offer partial or full-tuition scholarships, plus support for room and board, to talented students from the Greater Middle East who pursue a graduate degree in the humanities and/or social sciences at UCLA. Its particular focus will be students who would not otherwise have the means or contacts to study in the United States. Scholarships will be awarded for the duration of recipients’ study at UCLA, provided that they remain in good academic standing. A faculty advisory committee will be launched in late 2017 to ensure that the Kerr Family’s intent is respected in a competitive application and selection process. Competitions and awards will occur periodically, not annually. At the outset, only one scholarship will be awarded until the recipient finishes his or her program of study. “At a time of tumult in the Middle East and the rise of anti-immigrant, populist sentiment in both the United States and Europe” said Aslı Bâli, “this endowment confirms the enduring power and importance of international education.” Bâli is the director of the Center for Near Eastern Studies and a professor of international law and human rights at the UCLA School of Law, where she is also faculty director of the Promise Institute for Human Rights. “The Kerr Family’s re-affirmation of the value of international students, and their specific decision to support Middle Eastern students to attend UCLA, is an example for us all,” added Bâli. Malcolm Kerr (1931–1984) was a recognized authority on modern Arab politics and a UCLA professor of political science for 20 years. During those decades, he chaired the political science department (1967–1970), was dean of social sciences (1973–1976) and directed the Center for Near Eastern Studies (1977–1979). He, his wife Ann and their children spent many years in the Middle East as a family. 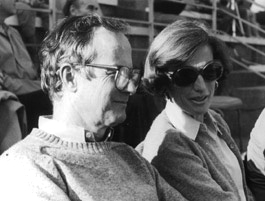 Kerr left UCLA to become president of the American University of Beirut (AUB) in Beirut, Lebanon in 1982 — roughly the midpoint of the Lebanese Civil War. Tragically, he was assassinated in front of his AUB office in 1984. Kerr had grown up on the AUB campus, where he later completed a master’s degree. His parents, Stanley and Elsa Kerr, worked for humanitarian relief organizations in Turkey, Syria and Lebanon in the late 1910s and early 1920s that supported victims and orphans of the Armenian genocide of 1915–1917. They later returned to work at AUB for 40 years — Stanley Kerr as a professor of biochemistry and Elsa Kerr, as dean of women students. 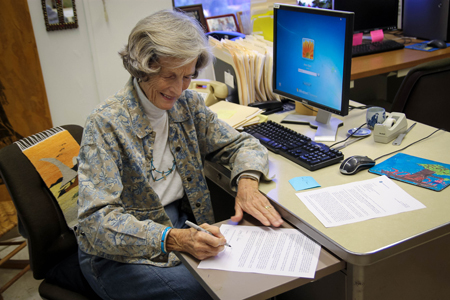 Ann Kerr has worked at the UCLA International Institute since 1991, where she coordinates the Visiting Fulbright Scholar Enrichment Program for the Los Angeles Metropolitan Area. She also teaches a Fiat Lux course that introduces UCLA freshman to visiting international scholars. Ann has dedicated her professional life to cultivating an informed understanding of the Middle East among Americans. The endowment is an extraordinary testament to the values of the Kerr Family, who remain committed to the mission of both Malcolm and his parents: the cultivation of open-mindedness and tolerance in both daily life and the national and international spheres. UCLA and the UCLA International Institute extend their deepest gratitude to the Kerr Family for their gift.